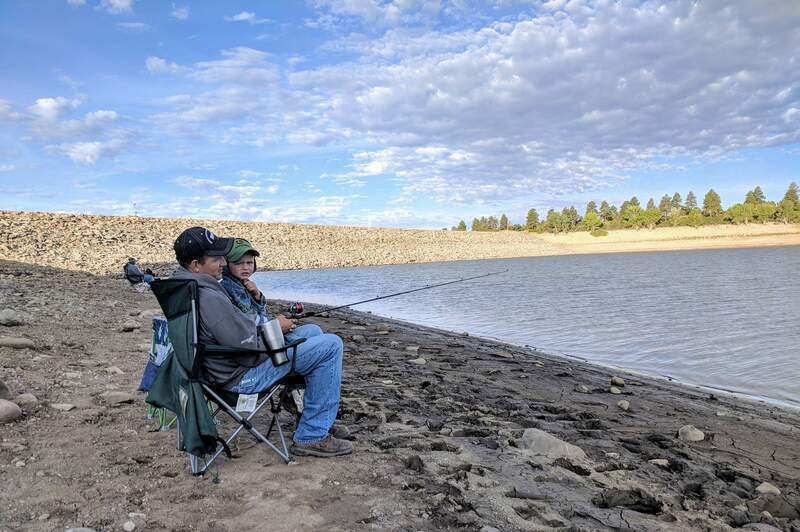 Jake Michal sits with his son Cole while holding a fishing pole at the Jackson Gulch Reservoir on Monday, the first day that the Mancos State Park and the reservoir fully reopened to public access. 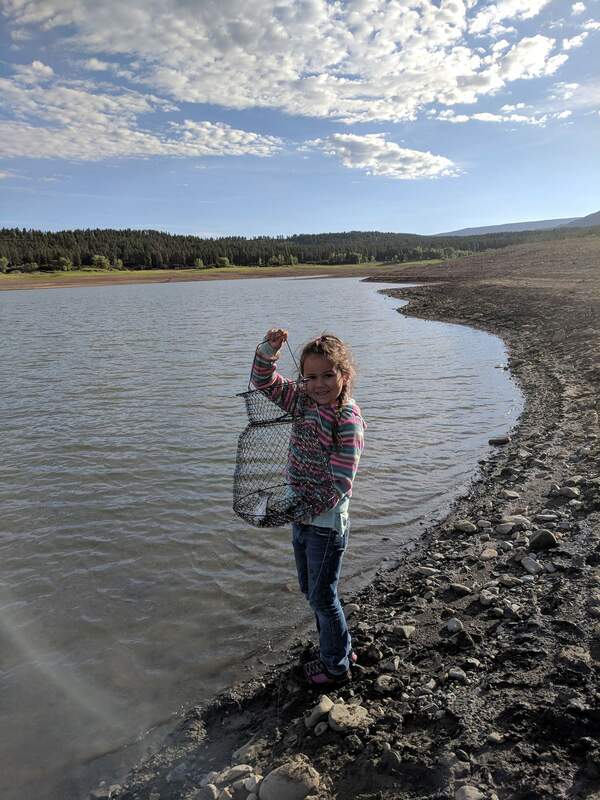 Rylee Sanchez, 5, shows off her catch on the first day that the Jackson Gulch Reservoir shoreline reopened to public use. 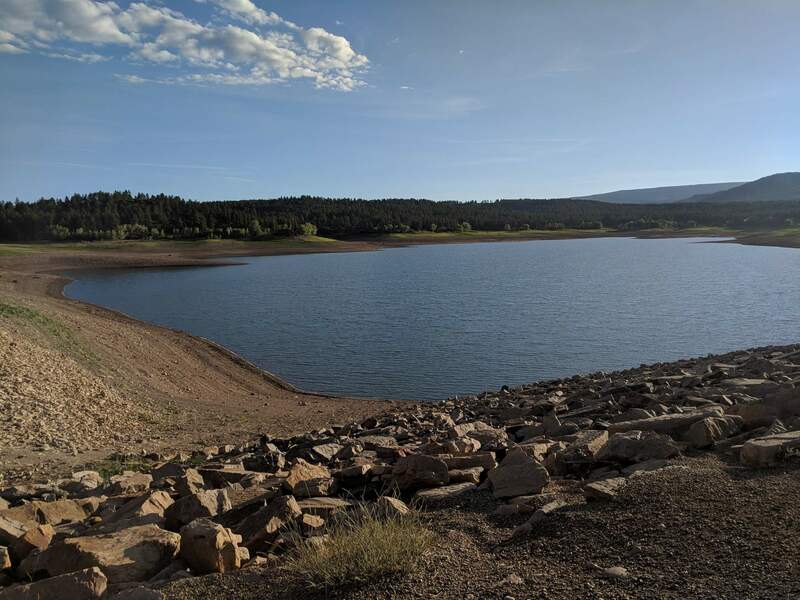 The Jackson Gulch Reservoir sits right in the middle of the Mancos State Park. Rylee Sanchez and her father, Matt, on Monday morning. 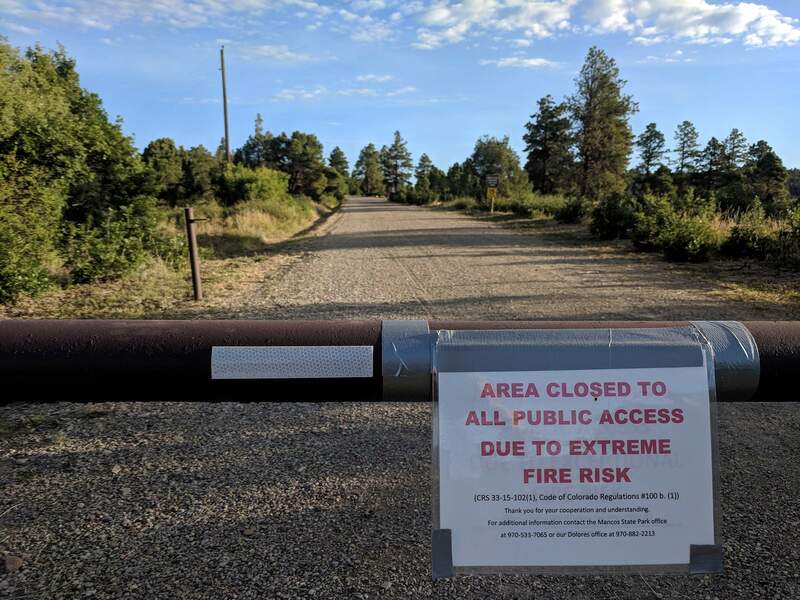 Signs like this one restricted public access to the Jackson Gulch Reservoir and the surrounding area until Monday, when the park fully reopened. 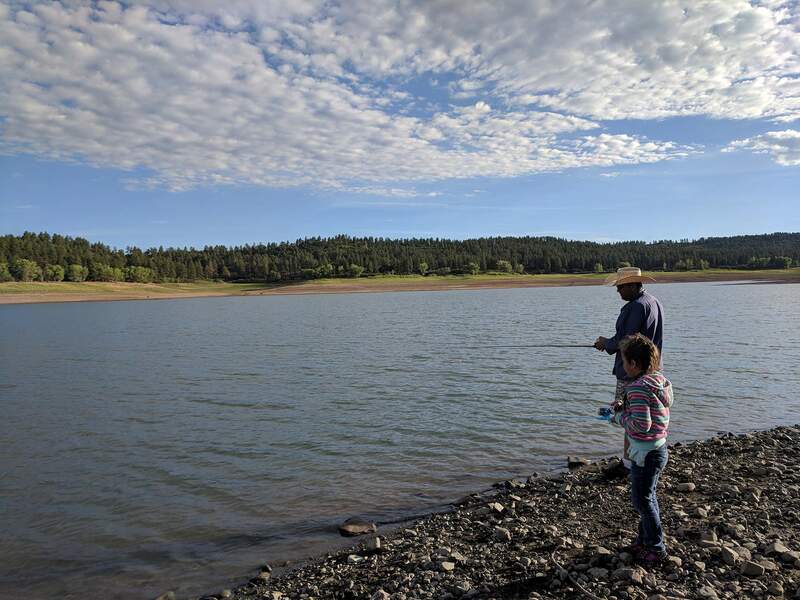 “I caught it all by myself!” Rylee Sanchez, 5, said excitedly after catching a fish in the Jackson Gulch Reservoir at the Mancos State Park. Sanchez was fishing with her father, Matt, on Monday, the first day the park fully reopened to public use. Parts of the park have been closed since June 13 because of extreme fire risk. The only section that remained open was the main campground; the west campground, hiking trails and shoreline fishing were all closed. Many homes surround the reservoir, so the park has to keep in mind the safety and interests of its neighbors. The risk was just too high that a spark from machinery or a car muffler could set off a fire, Coss said. However, recent rains and an increase in humidity have allowed the vegetation to green up, even though most storms in the past month missed the park. “People ask us about why the (San Juan National) forest opened and we didn’t,” Coss said. Staff members certainly felt the effects of the park closure. 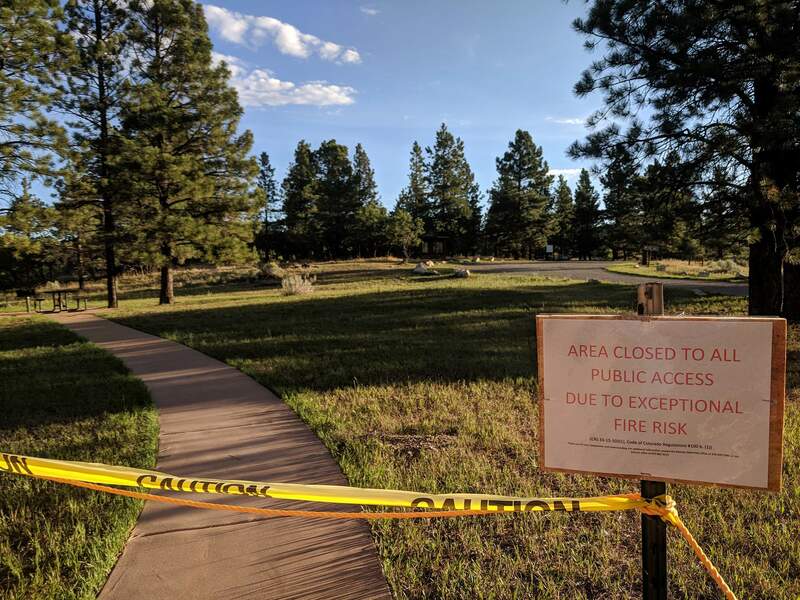 In preparation for reopening, bathrooms and campsites had to be cleaned and spruced up to be ready for use, Coss said, and several signs and ropes were taken down. But even though the park is open again, the danger has not passed. According to the Colorado Parks and Wildlife website, the park is still under Stage II restrictions, which ban “building, maintaining, attending or using a campfire, charcoal, coal or stove fire.” In addition, smoking is allowed only in vehicles. Still, enough moisture accumulated in recent storms to justify reopening closed parts of the park, and the park staff couldn’t be happier. “We’re glad to be open again,” Coss said.